In 2002 Iran established a pilot uranium laser enrichment plant at Lashkar Ab'ad, and between 2002 and 2003 conducted enrichment experiments with 22kg of undeclared natural uranium metal. Tehran purchased most of the equipment for the plant from foreign suppliers, and reportedly intended to produce 5kg of uranium with an enrichment level of up to 7% in the first year of operation using the atomic vapor laser isotope separation (AVLIS) method. Iran initially denied the IAEA access to the site, removed some equipment, and declared that the facility was conducting research on laser fusion research and laser spectroscopy. 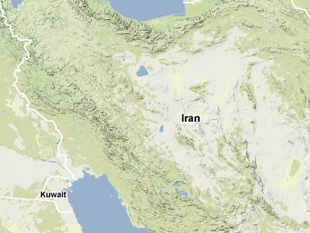 Tehran later admitted that it had conducted laser enrichment experiments at the site, and several IAEA inspections determined that the AVLIS facility was able to produce small quantities of highly-enriched uranium. However, the facility never became fully operational due to Iran's inability to purchase critical equipment, such as electron beam guns, from abroad. Iran dismantled the AVLIS equipment in 2003 and shipped it to the Karaj Agricultural and Medical Center, where it remains in storage. Yonah Alexander and Milton M. Hoenig, The New Iranian Leadership (London: Praeger Security International, 2008), p. 140. Anthony H. Cordesman and Adam C. Seitz, Iranian Weapons of Mass Destruction: The Birth of a Regional Arms Race (Washington, DC: Center for Strategic and International Studies, 2009), p. 243. David Albright and Serena Kelleher-Vergantini, "Lashkar Ab'ad: Iran's Unexplained Laser Enrichment Capabilities," Institute for Science and International Security, 29 July 2013, isis.org.